When someone you love dies, you must mourn if you are to renew your capacity for love. In other words, mourning brings healing. But healing also requires the support and understanding of those around you as you embrace the pain of your loss. Perhaps the most compassionate thing you can do for yourself at this difficult time is to reach out for help from others. Think of it this way: grieving may be the hardest work you have ever done. And hard work is less burdensome when others lend a hand. Life’s greatest challenges—getting through school, raising children, pursuing a career—are in many ways team efforts. So it should be with mourning. This article was written to assist you in your search for a counselor or support group. Sharing your pain with others won’t make it disappear, but it will, over time, make it more bearable. Reaching out for help also connects you to other people and strengthens the bonds of love that make life seem worth living again. “There is strength in numbers,” one saying goes. Another echoes, “united we stand, divided we fall.” If you are grieving, you may indeed find strength and a sense of stability if you draw on an entire support system for help. Friends and family members can often form the core of your support system. Seek out people who encourage you to be yourself and who acknowledge your many thoughts and feelings about the death. What you need most now are caring, non-judgmental listeners. You may also find comfort in talking to a minister or other church leader. When someone loved dies, it is natural for you to feel ambivalent about your faith and question the very meaning of life. A clergy member who responds not with criticism but with empathy to all your feelings can be a valuable resource. A professional counselor may also be a very helpful addition to your support system. In fact, a good counselor can be something friends and family members can’t: an objective listener. A counselor’s office can be that safe haven where you can “let go” of those feelings you’re afraid to express elsewhere. What’s more, a good counselor will then help you constructively channel those emotions. For many grieving people, support groups are one of the best helping resources. In a group, you can connect with others who have experienced similar thoughts and feelings. You will be allowed and gently encouraged to talk about the person who died as much and as often as you like. Remember, help comes in different forms for different people. The trick is to find the combination that works best for you and then make use of it. Finding a good counselor to help you through the grief process sometimes takes a little doing. A recommendation from someone you trust is probably the best place to start. If he or she had a good counseling experience, and thinks you would work well with this counselor, then you might want to start there. Ultimately, though, only you will be able to determine if a particular counselor can help you. A local hospice, which may even have a counselor on staff who may be available to work with you. A self-help bereavement group, which usually maintains a list of counselors specializing in grief therapy. 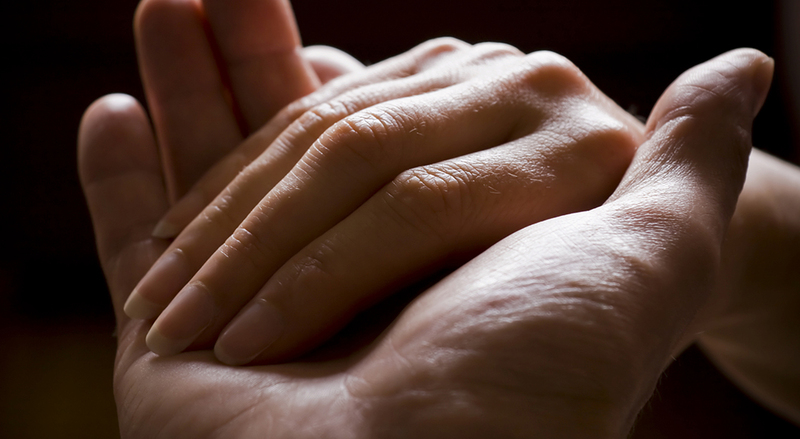 Your personal physician can often refer you to bereavement care specialists. An information and referral service, such as a crisis intervention center, that maintains lists of counselors who focus on bereavement work. A hospital, family service agency, and/or mental health clinic. All usually maintain a list of referral sources. As you are deciding if a particular counselor is right for you, trust your instincts. You may leave your first counseling session feeling you have “clicked” with your counselor. On the other hand, it may well take you several sessions to form an opinion. The credo of The Compassionate Friends, an international organization of bereaved parents, says, “You need not walk alone.” You will probably discover, if you haven’t already, that you can benefit from connecting with people who also have had a death in their lives. Support groups, where people come together and share the common bond of experience, can be invaluable in helping you heal. In these groups, each person can share his or her unique grief journey in a nonthreatening, safe atmosphere. Group members are usually very patient with you and your grief and understand your need for support long after the actual death. To find a support group in your area, call your local hospice, hospital, funeral home or call the National Self-Help Clearing House for a local referral. Remember that a support group may be just one element in your support system. Some people benefit from seeing a counselor as well as joining a support group. Not all support groups will be helpful to you. Sometimes the group dynamic becomes unhealthy for one reason or another. Look for the following signs of a healthy support group. Group members acknowledge that each person’s grief is unique. They respect and accept both what members have in common and what is unique to each member. Group members understand that grief is not a disease, but is a normal process without a specific timetable. All group members are made to feel free to talk about their grief. However, if some decide to listen without sharing, their preference is respected. Group members understand the difference between actively listening to what another person is saying and expressing their own grief. They make every effort not to interrupt when someone else is speaking. Group members respect others’ right to confidentiality. Thoughts, feelings and experiences shared in the group are not made public. Each group member is allowed equal time to speak; one or two people do not monopolize the group’s time. Group members don’t give advice to each other unless it is asked for. Group members recognize that thoughts and feelings are neither right, nor wrong. They listen with empathy to the thoughts and feelings of others without trying to change them. Your grief journey will not be quick and easy. Often it will feel like you are moving backwards, not ahead. But to reconcile your grief, you must ultimately continue moving forward. Following are six of the central needs bereaved people must meet if they are to reconcile their grief. You will probably jump around in random fashion while working on these six needs. Sometimes you will be working on more than one at a time. The important thing is to realize that in one fashion or another, you too must be making progress in meeting these needs if you are to heal. 1. Acknowledge the reality of the death. Whether the death was sudden or anticipated, acknowledging the full reality off the loss may take weeks or months. You may move back and forth between protesting and encountering the reality of the death. You may discover yourself replaying events surround the death and confronting memories, both good and bad. It’s as if each time you talk it out, the event is a little more real. 2. Move toward the pain of the loss. Expressing your thoughts and feelings about the death with all of their intensity is a difficult but important need. You will probably discover that you need to “dose” yourself when experiencing your pain. In other words, you cannot or should not try to do this all at once. 3. Continue the relationship with the person who died through memory. Embracing your memories—both happy and sad—can be a very slow and, at times, painful process that occurs in small steps. But remembering the past makes hoping for the future possible. 4. Develop a new self-identity. Part of your self-identity comes from the relationships you have created with other people. When someone with whom you have a relationship dies, your self-identity naturally changes. Many people discover that as they move forward in their grief journey, they ultimately find that some aspects of their self-identities have been positively changed. You may feel more confident, for example, or more open to life’s challenges. When someone loved dies, you naturally question the meaning and purpose of life. Coming to terms with those questions is another need you must meet if you are to progress in your grief journey. Move at your own pace as you recognize that allowing yourself to hurt and find ongoing meaning in your life will blend into each other, with the former overtaking the latter as healing occurs. 6. Continue to receive support from others. You will never stop needing the love and support of others because you never “get over” your grief. As you learn to reconcile your grief, however, you will need help less intensely and less often. So, while you probably won’t need to see a counselor forever, you will always need your friends and family members to listen and support you in your continuing grief journey. Support groups can be another long-term helping resource.